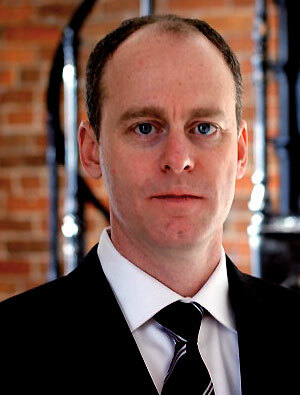 Daniel Williams has extensive experience as a manager of and investor in credit and structured credit portfolios. Prior to joining KAG, Dan was the Chief Investment Officer of Dundee Bank of Canada. At Dundee, he managed a portfolio of roughly $700MM of structured credit investments (specifically investment grade tranches of CLOs); served on bank’s Investment Committee, Asset/Liability Committee and as active member of senior executive. Dundee Bank was newly formed and began operation in 2006 and grew in one year to $2.5 Billion of assets prior to being sold to ScotiaBank. Previously he was the Head of Credit Portfolio Management for National Bank of Canada where he had oversight of the bank’s $4 billion portfolio of corporate loans and was responsible for maximizing the risk-adjusted return on the portfolio. At National, Dan established the centralized Credit Portfolio Management function, which was a new discipline to the bank. New measurements of bank-wide loan value were introduced that enabled efficient capital allocation decisions. Advanced portfolio-level risk models were implemented to identify industry and geographic risks, which were then hedged using an overlay of credit default swaps. During this time, National Bank went from a laggard to an industry leader in terms of the quality of information and analytics applied to managing its corporate loan portfolio. Prior to 2001, Dan worked for 8 years as a management consultant principally serving global financial institutions in Canada, the United States, and the United Kingdom. He has a Bachelor of Commerce from Queen’s University.